Some people picture a certain stereotype when they imagine removal folk. 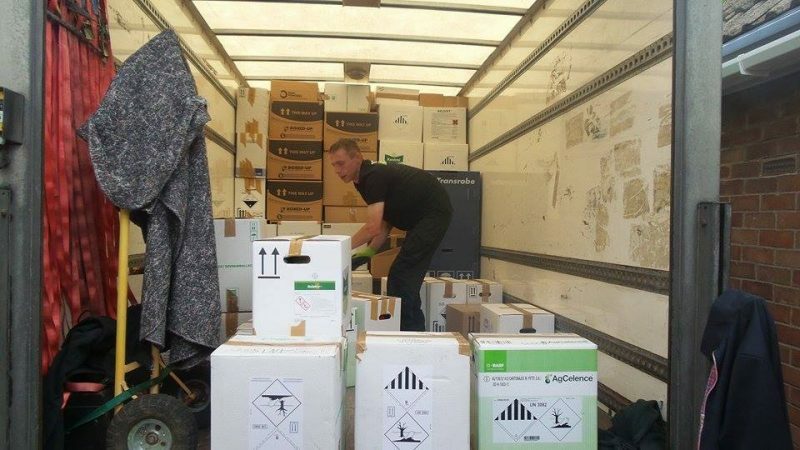 We admit that there are some less than likely groups of people claiming to offer a removal service. We know this because it is exactly what we work against. Our aim is to show each and every one of our customers that there are people worthy of the title out there that will do the job quickly and efficiently but above all…. Properly! Allow us to come and show you how we do things. Get in touch for a quotation now. Here at Monstermove we have a system. A method that gets the job done in a way that we’re proud of and are sure that you will be satisfied with. 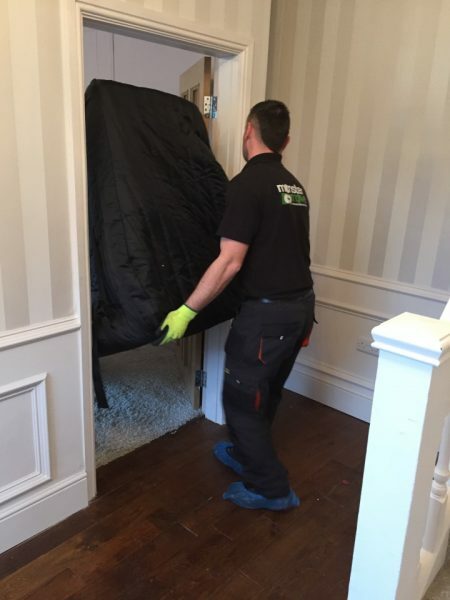 Yes the job is hard at times but our staff are trained and experienced and will slice through your removal at a rate you will find surprising. 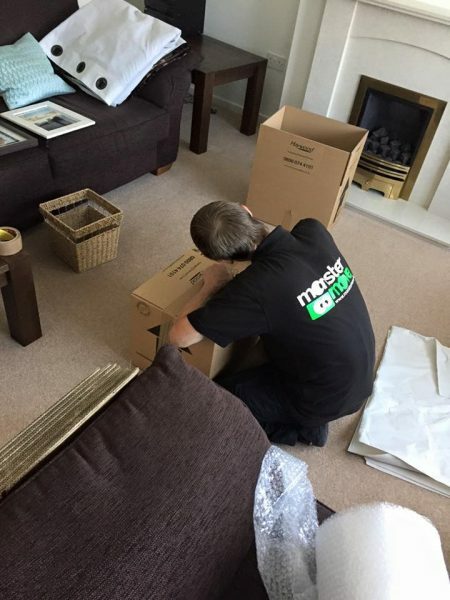 Some of our qualities are as follows..
With almost 20 years experience between the team we can guarantee you an excellent performance whether it be a small delivery, a large house removal or an even larger office removal. What’s more we come fully equipped for almost every eventuality. If something needs to be dismantled for transportation then your team will be all over it before you know it. Even if we have to hoist your sofa up through a third floor balcony, we’re not phased, we’ll just get it done. Problem with transportation of an American fridge or maybe a Piano? Not a chance, give us a call. 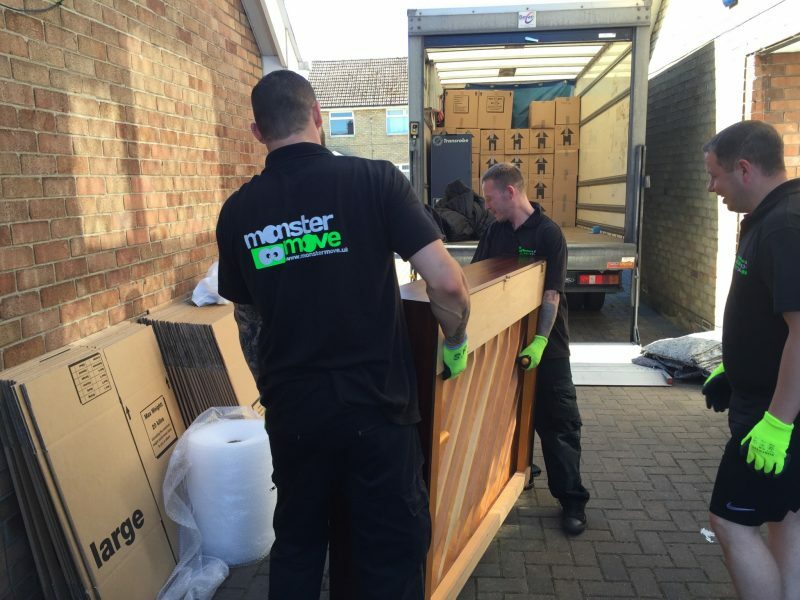 We are a removal company that you can rely on. 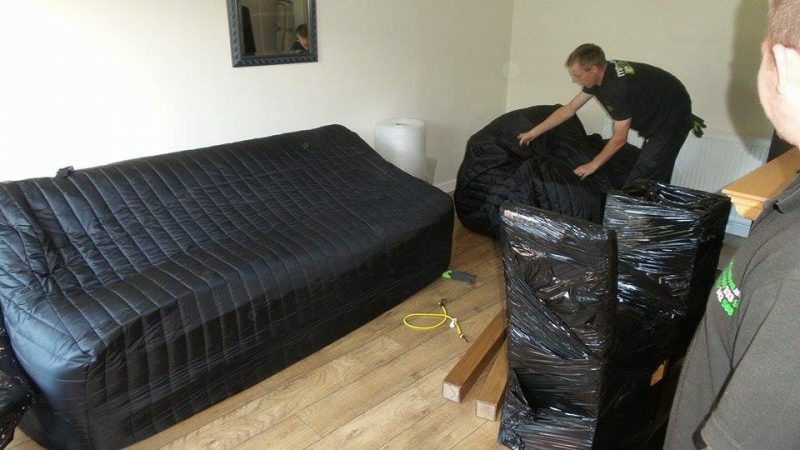 We’ll look after your furniture, your carpets, your property and everything else we come into contact with. Why? Because we care! It really is as simple as that! Our ‘can do’ attitude ensures that we always get to the bottom of a problem. There is always a way even if we have to hoist that 9′ sofa of yours up to a third floor balcony or take the doors off your American style fridge to get it safely into your kitchen. We will not give in until we have tried everything. We’re covered for every outcome. We carry public liability cover, Goods in Transit cover as well an breakdown cover so if anything does happen to go wrong on your big day, we’ve got it covered. Our vehicles are fully equipped meaning that your property is safe and secure whilst wrapped and strapped in transit. Everything is wrapped in thick woolly purpose made transit blankets before being secured with straps and webbing. The ‘chuck it in the van’ method that we hear of far too often isn’t one of our protocols. 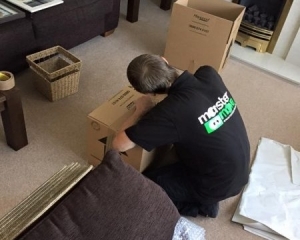 We strive to employ only the very best candidates for our removal men. 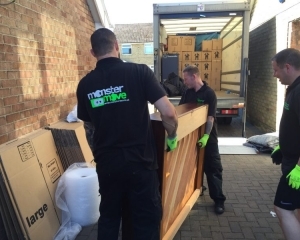 We believe that a company is only as strong as its weakest link and the removal men themselves are at the front line of Monstermove, representing our values, ethics and of course, our dedication to customer satisfaction. We are very confident that our team tick all of the necessary boxes and provide a service which is among the best in our field.